It is with heavy hearts that we announce the passing of Ross Van Horn. Ross was predeceased by his mother Dorothy, father Buck, brother Ed and sister Leona. He leaves behind his loving wife Diana of 54 years; daughters Debbie (Merle) and Nicole (Brad); brothers Arthur (Joanne), Clifford (Annette); grandchildren Ryan, Merissa (Alex), Travis (Nicole), Amanda (Aaron); great grandchildren Liam, Parker, Haley and Willow. He also leaves behind the children of friends and neighbors who he loved as his own. Ross lived life well and fully. He worked very hard and was respected as an honest man of integrity in both business and in his life. He loved his garden and it was always perfect, with straight rows and weed free. He loved getting firewood and his wood pile was a piece of art. Ross had an incredible gift of fixing almost anything plus inventing way to make jobs easier. It was amazing how he used old scraps to make it work. He loved music and loved to dance, often not leaving until the last song was played. 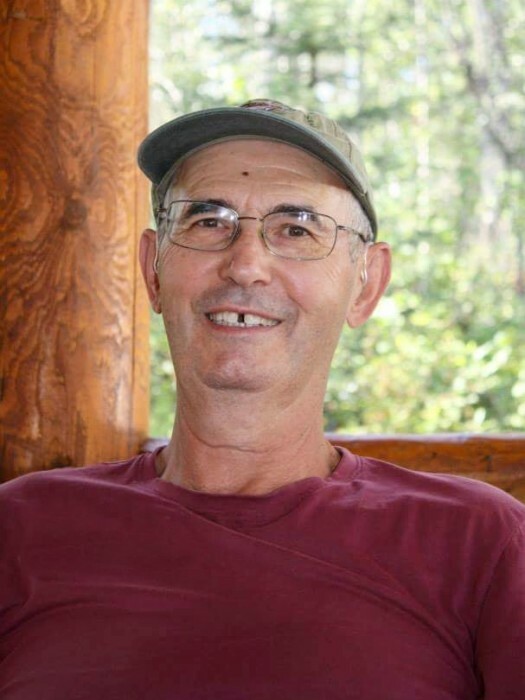 In his later life he loved to hike and enjoyed the camaraderie of fellow hikers. His battle with cancer is over. The family is grateful of the support of Dr. Dykstra, Dr. Bastian, Home Support, Home Community Care and family and friends for their love and support during this difficult time. A Memorial Tea was held August 28th at the Pioneer Activity Centre. In lieu of flowers a donation can be made to the Community Cancer Care Team, PO Box 3776, Smithers, BC V0J 2N0.